If you’ve spent your career dealing with web standards — and enjoyed watching the progressive disappearance of those creaky, old, legacy browsers — your first contact with email newsletter building might be a little painful. You are going to need to throw out a lot of your web design golden rules to get the compatibility you’ll need with email clients. In fact, while in 2013 the Standard Web Project Team had been able to say “Our Work Here is Done”, the road to email standards still appears to be very long indeed. Email design does require you to reinvent some of your skills. But try not to consider this as a limit to your creativity – rather, treat it as a real challenge. As you would with a standard web project, I recommend you start by drawing a prototype. This will help you to make each graphic adjustment you need and will help you present your work to your client before you start coding. You can find a lot of inspiration on the web. I’ve found some good resources are htmlemaildesigns.com, Really Good Emails or Newsletter monitor, provided by ContactLab and these are mainly focused on marketing strategies. As we said earlier, email is rendered by mail clients in many very different ways: our efforts must be directed to cancel out, or at least to minimize these variations. Fortunately emails tend to have a relatively simple structure, and in most cases this work is not particularly complicated. Before coding, take a look at the email client stats (it’s better if you can access the stats of the project you are working on), this will help you to focus on most used clients. CSS positioning is scarcely (or nothing) supported so you must use tables for layout. 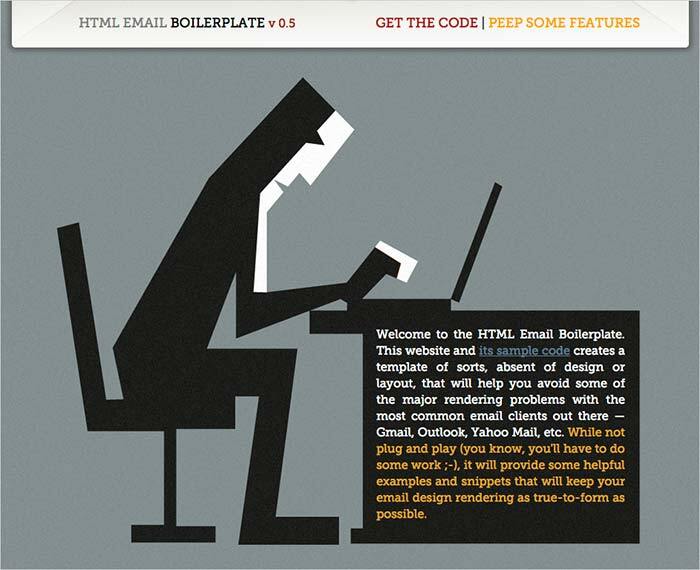 Since email development requires you to deal with several email clients needs, the better way would be to start with a boilerplate. You can find many boilerplates and templates on the web (you can find an essential list below), and my tip is to try them all, if possible, to find the better one for your work. Personally, I often use Sean Powell’s HTML boilerplate or the Emailology boilerplate. As you can see in the few sample lines below, boilerplates (in this case the Sean Powell’s one) are strongly commented, and they are a very easy way to learn email coding. Despite what we just said, you’ll notice that our boilerplate does use a standard <style> tag for the CSS, even though we know that our CSS needs to be coded inline every single tag of our email. In fact, not quite ALL CSS: media queries and all the rules that are specific for clients which support <style> must be kept as they are. The rest of your CSS must be coded inline. Obviously the act of ‘inlining’ your CSS coding could be extremely tedious and complicated (especially in very elaborate projects), but this is where CSS inliner tools come in. They all work in the same way: you simply paste your original HTML and the CSS will be automatically inlined. If you have specific needs, my tip is to test them all (I’ve got a short list below) to find the one that best fits your specific needs. 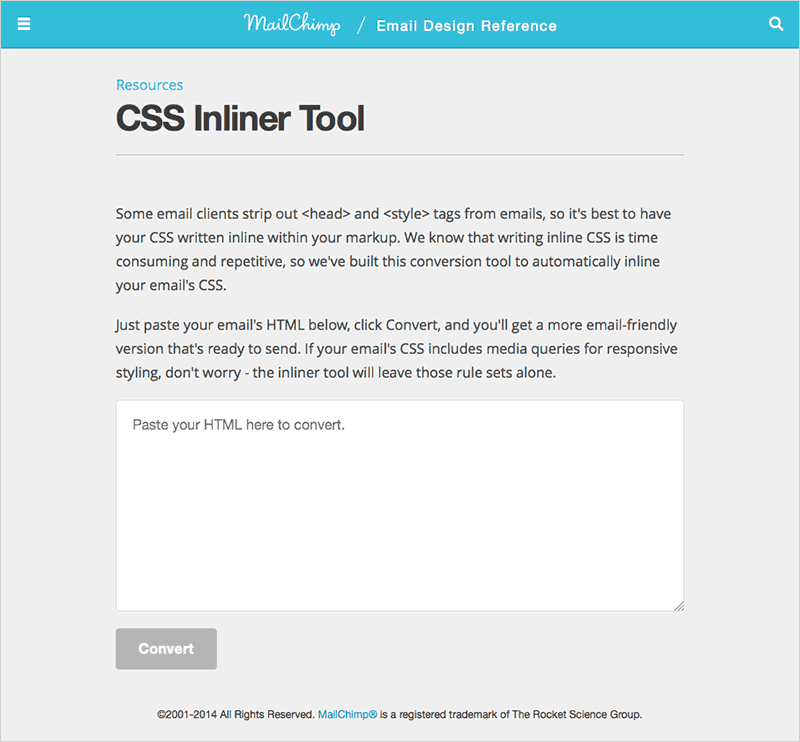 For instance in my case, I often have to deal with Twig or Smarty files, and I’ve found I have better results with Mailchimp inliner. Images in emails don’t have many particular requirements: you must, of course, endeavor to keep files small, and avoid newer file formats, such as WebP. There’s even an argument that it might be better to avoid PNG files, and use GIF ones instead. The first precaution is to avoid creating emails composed entirely of images (there are also many other reasons not to do this, concerning usability, accessibility and so on…). The second one is to always add an ALT text to your images to minimize the bad impact (take a look at The 1, 2, 3 of Defensive Design). Online editors can be a very valid alternative to hand coding an email. If you don’t have particularly specialized needs (or you are short of time) this could be just the trick. These editors are built into the feature set provided by these email services (Campaign Monitor, Mailchimp, etc…) but you’ll obviously need an account to use them. Testing is fundamental for email design. You have to roadtest your design in a large variety of clients to ensure that all runs well. You can install many clients on your computer, using virtual machines or emulators, and you can make use of paid online services to help you in this job. Litmus offers a great service for email testing, as well as Email On Acid, and, although not specifically aimed at e-mail clients, even Browserstack can be useful. Keep it Simple but, at the same time, try to build an “emotional design”. You have a few seconds until reader decides to either read or trash your email, so you have to find the right balance between aesthetics and loading speed. Consider mobile email clients: in the Litmus email client market share report delivered at the end of 2013, 51% of emails have been read through a mobile device. Mobile share has increased dramatically in recent years, so always keep the fact that your email will often be read using phones and tablets at front of mind. Pay strong attention to your content. Although this is not strictly a design task, content is, of course, a key element of email composition. Avoid grammatical errors and make sure that the text content is fluid. Also, choose a proper subject for the mail (Litmus Subject Line Checker can help you doing that). Focus on your goal. If you are sending a newsletter, you probably want your readers to do something: focus your efforts on this, be concise and try to gain the attention of the users; add a call to action button to achieve your goals. Despite the growing attention to email design, it seems that currently almost all the best documentation can be found in company blogs (listed below). 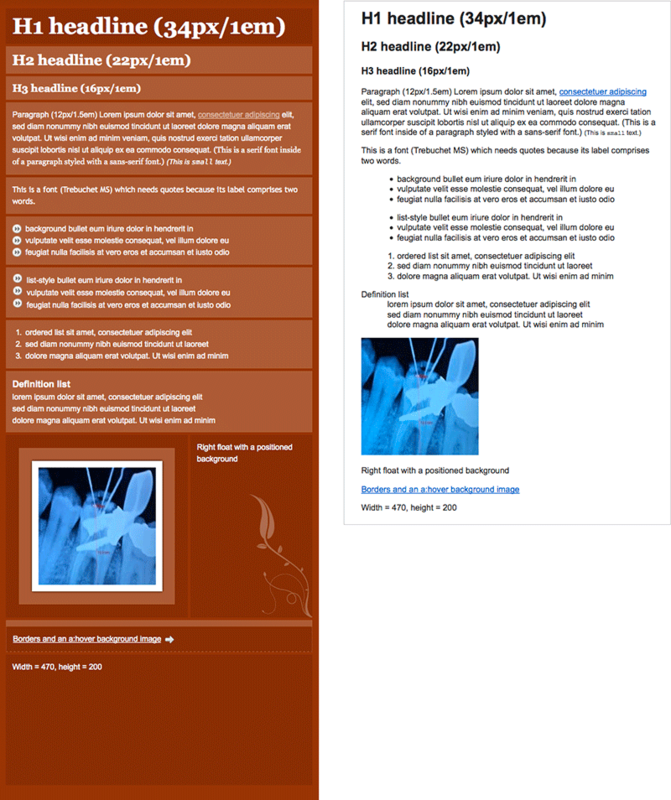 The Email Standards Project might be an important resource, but, although many acid tests are up-to-date, the site blog seems to have stopped in 2010. I’ve tried to contact the site without any useful result, so we can’t confirm if the project is currently maintained or not. Campaign Monitor: Will it work?